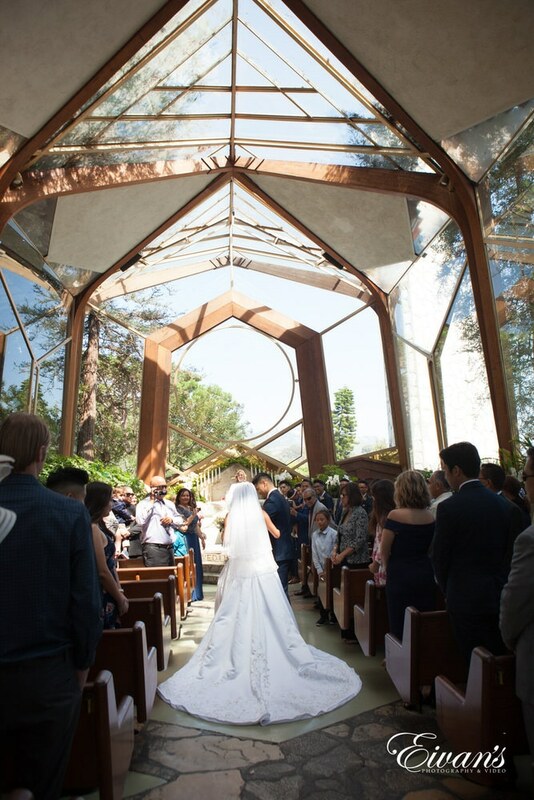 Feeling the sun shining on your face while watching down the aisle to the love of our life inside the beautifully enclosed glass chapel surrounded by redwood trees. 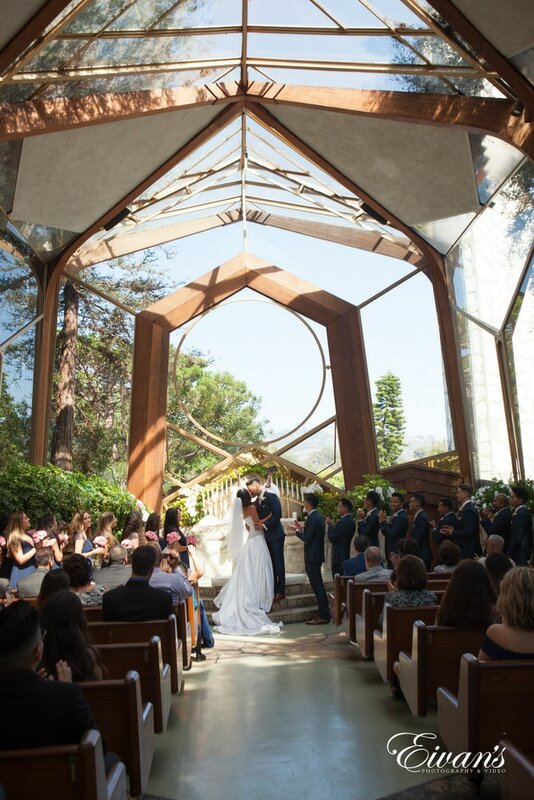 Wayfarers Chapel in California gave Stacy and Patrick an unforgettable wedding that is to envy by the sheer beauty of it. 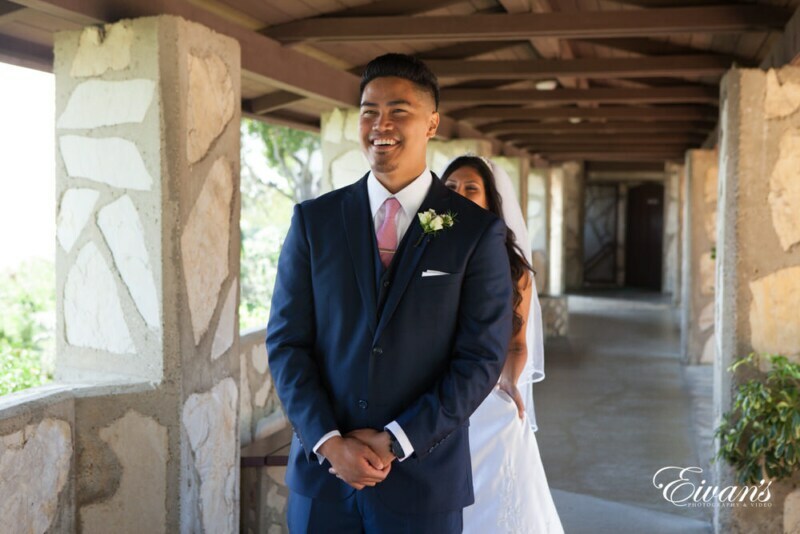 to push their photographs to the next level so that any guest can genuinely feel the emotions they felt in those exact moments in time. 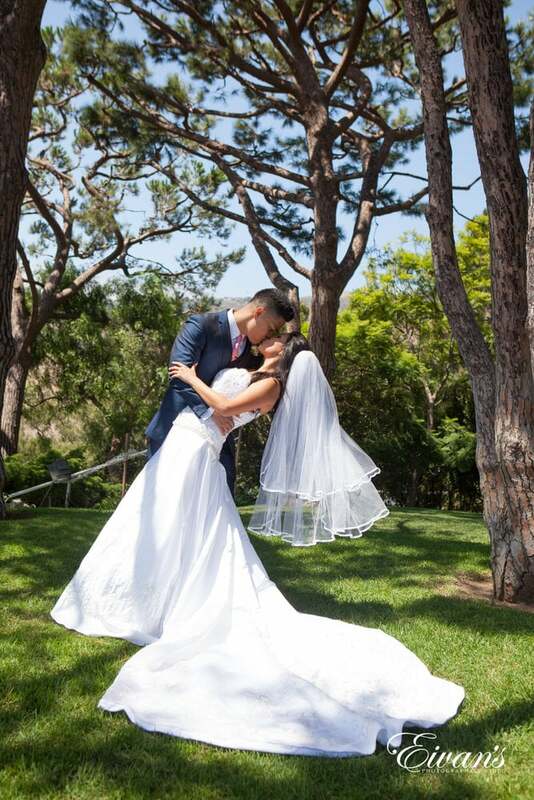 It is evident that this LA photographer very much enjoyed shooting this particular wedding which is what every bride and groom should aspire to have within their photographer, yet a photographer does need a canvas, paint, and a paintbrush to create the perfect photograph and moment in time. 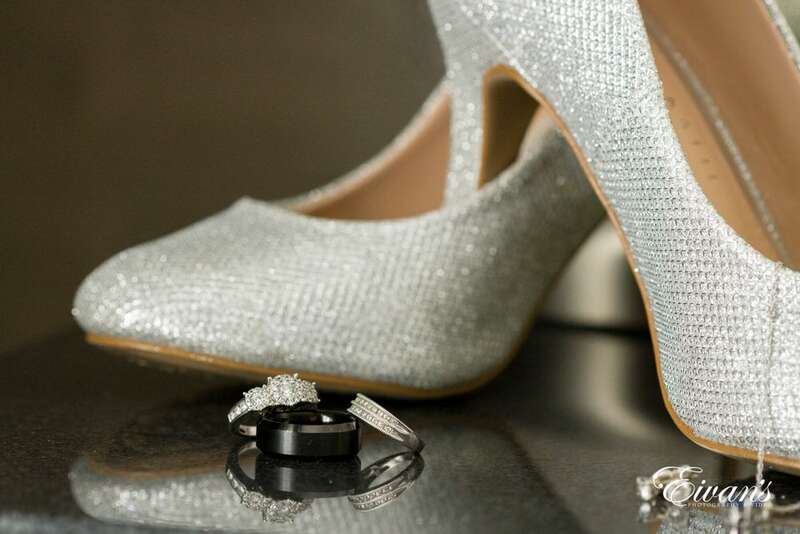 enhances Stacy and Patrick’s love while also drawing attention to all of the detail in both the bride and groom’s looks. 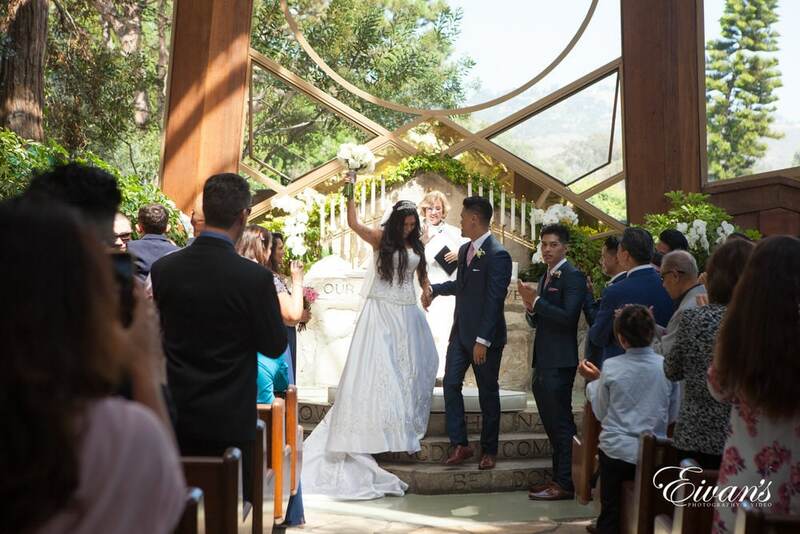 Stacy wore a strapless full-length dress with intricate beading on her corset top and along the edges of the bottom of her skirt including her very long yet stunning train. 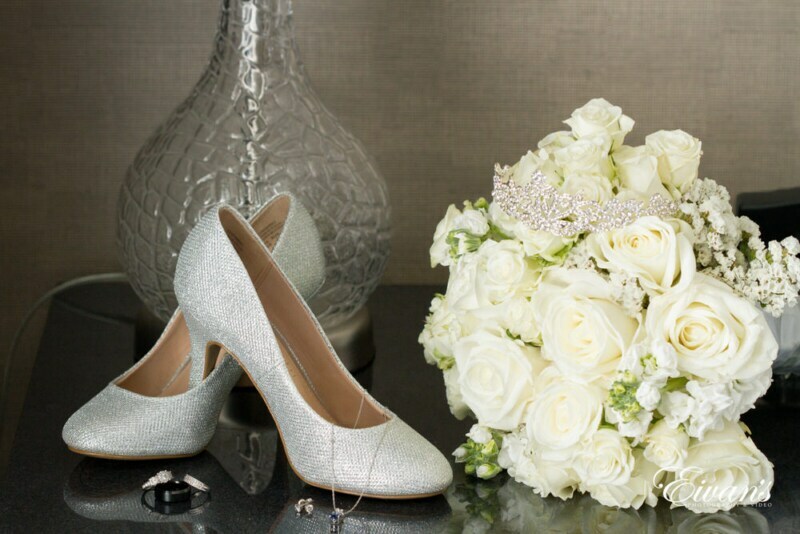 Complementing the bride’s exquisite dress is her mid-length veil, glistening tiara, sparkling silver heels, and a bouquet of pearly white roses. 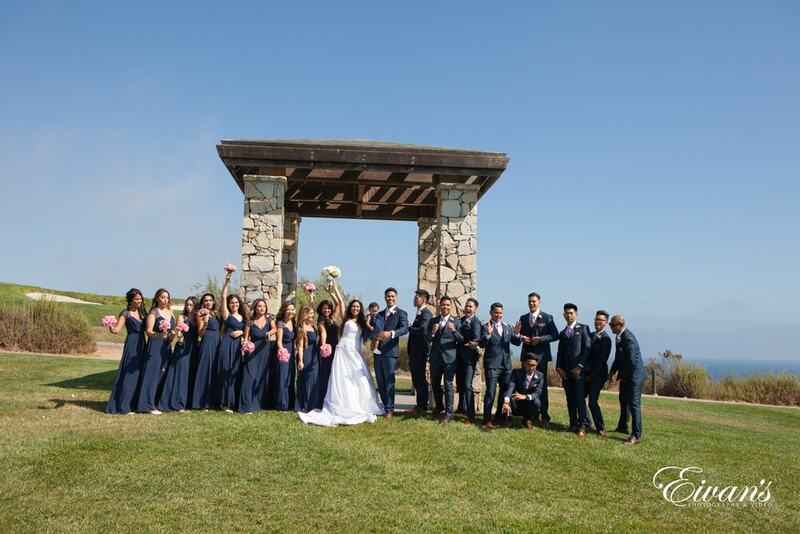 Although the bride specifically only has white in her final look, the affair had a color theme of navy blue and light pink. 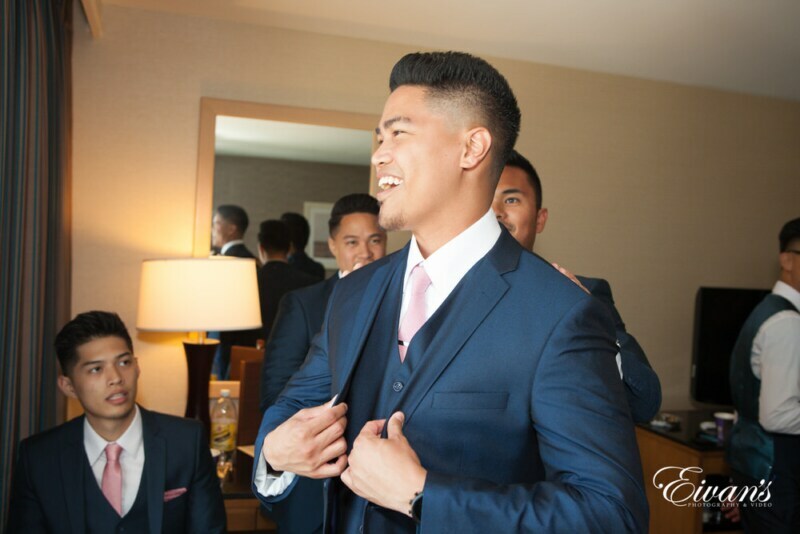 This color theme is depicted very well by the looks of the worn by the groomsmen and bridesmaids; Stacy and Patrick’s counterparts wore either navy blue suits with pink ties and pink pocket squares for the groomsmen or long navy blue dresses with a v-neckline, lace sleeves, and a small pink bouquet of roses. 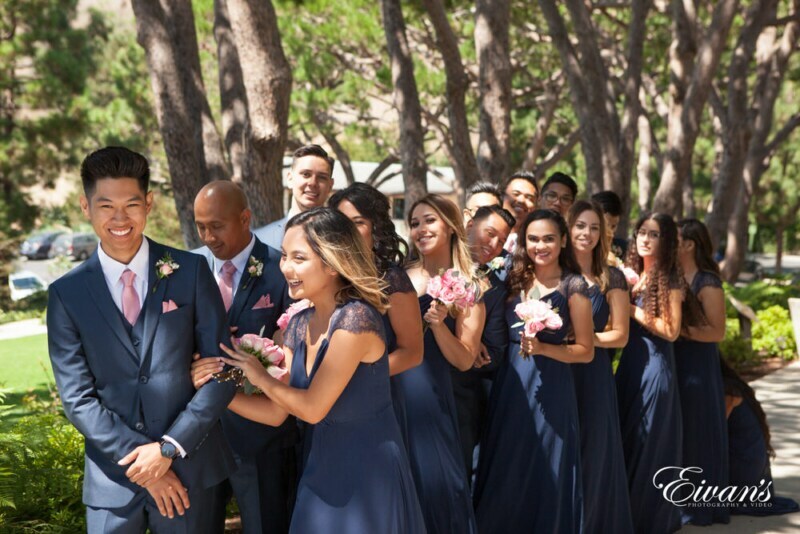 One trend is that Stacy surprised Patrick separate from their ceremony in her complete look and all he could do was hug her. 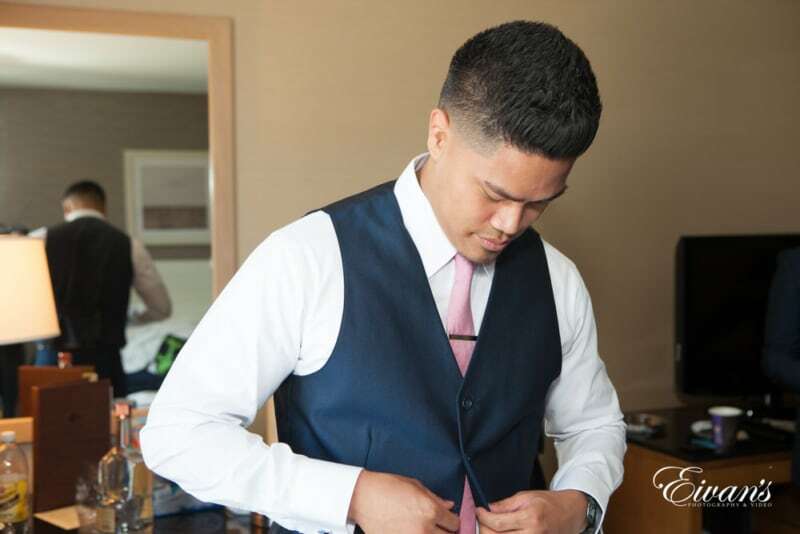 During the couple’s reception, they also continued with their color scheme of navy blue and pink by having the tablecloths be navy blue, pink table number cards, but even with elegant orchid centerpieces. 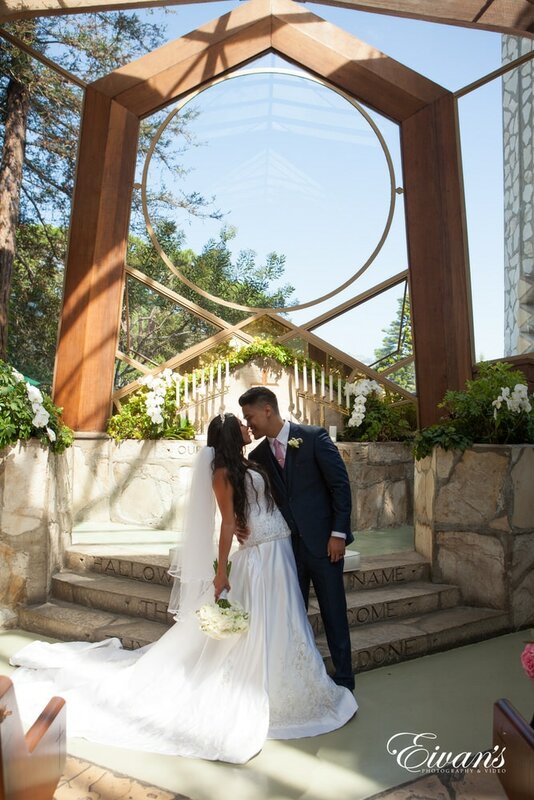 Flowers were a delicate way to continue a very classic feel to their wedding while also keeping a tie to nature. 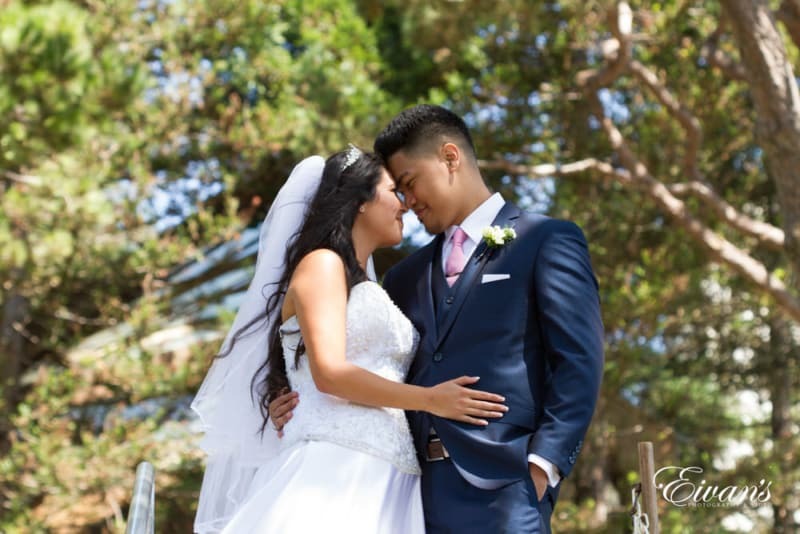 The couple had a three tier white wedding cake that had roses, and other flowers piped onto it. 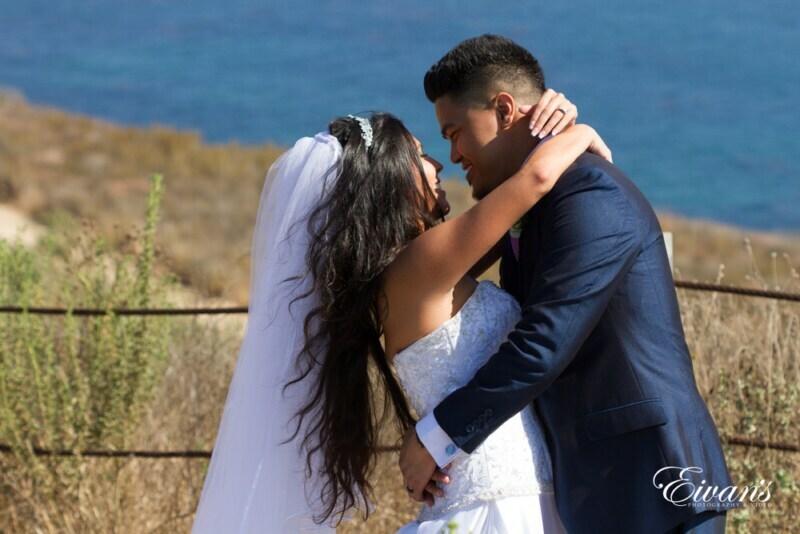 Upon the top of the wedding cake, they had a groom carrying his bride on the beach saying “Just Married” which perfectly fits this couple’s wedding because they were married right next to the Pacific ocean. 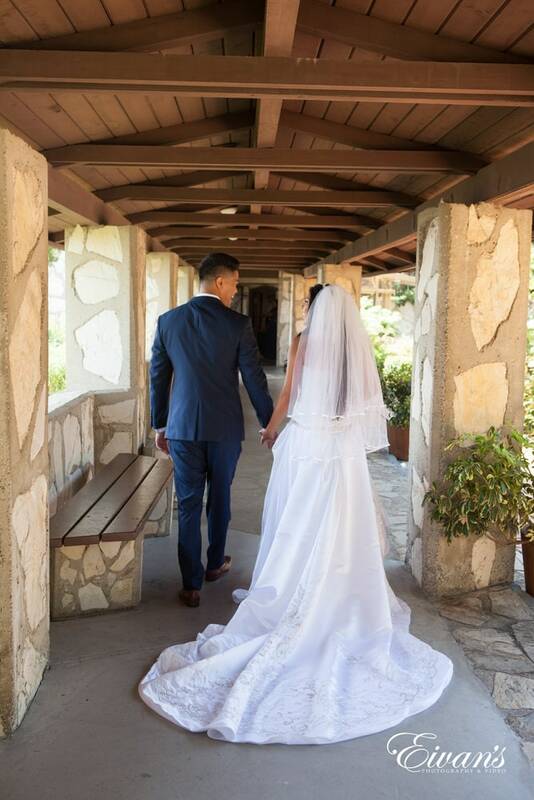 Stacy and Patrick’s illuminating love and their marvelous wedding are one to find the unique and beautiful ideas for your future wedding regardless if it is in the next year or if it has not been planned yet.